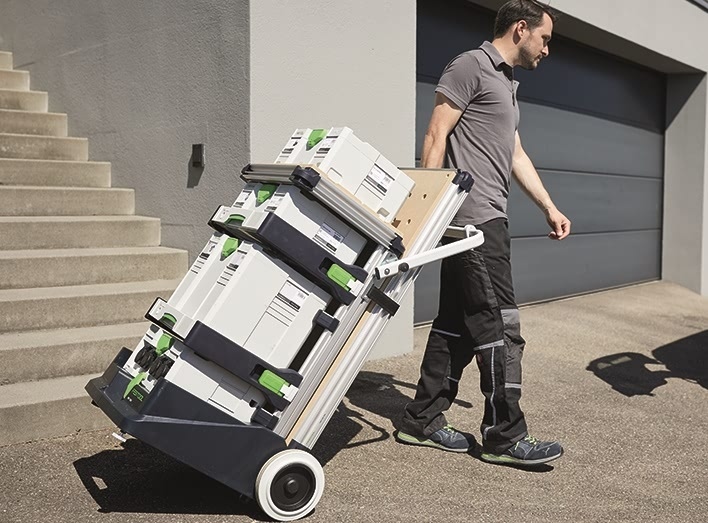 Festool have listened to their fans’ feedback once again. By popular demand the mobile workshop is on its way and available at Anglia Tool Centre from September. Transporting your tools has never been so effortless. Sophisticated in style, the system is simple to set up and makes moving your tools easier than ever, therefore allowing you to turn the construction site into your workshop. We look at how the mobile workshop will give you greater convenience. 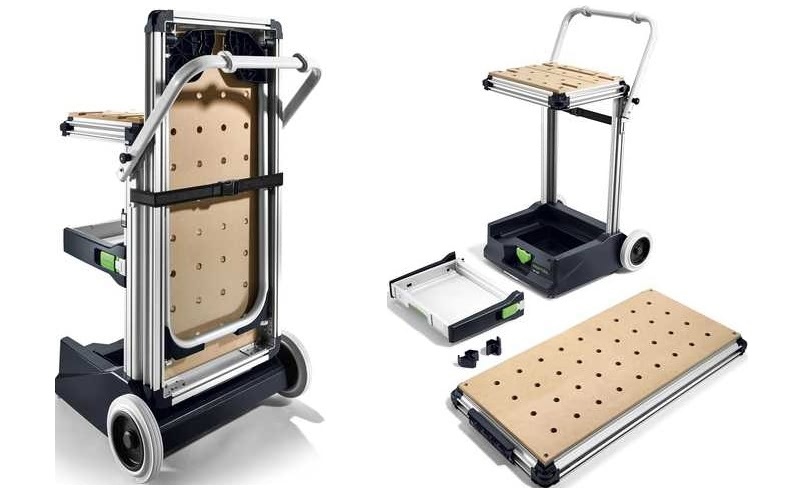 In addition to the above, it also seamlessly connects to Festool systainers. Their compatibility with the mobile workshop is a major positive given the systainers’ popularity. Existing systems designed to organise and transport tools with semi-stationary work are combined to full effect. 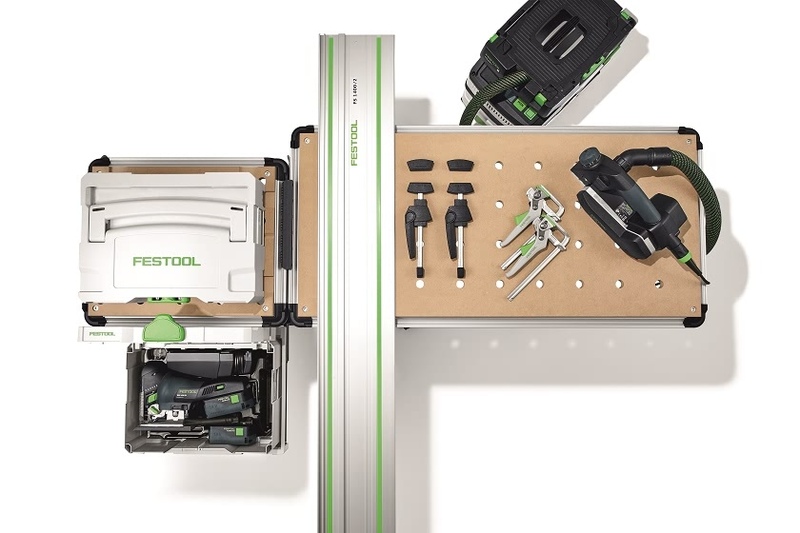 Festool’s all-in-one solution includes a flexible worktop and safe storage for tools and accessories. It offers everything required for mobile working on the construction site. A system covering the process of assembling, transporting and working may sound too good to be true. However, the MW1000 mobile workshop not only supplies all three parts; it allows you to carry them out in an incredibly efficient way. As convenient as the mobile workshop is for its assembling and transportation, the fact you can use it as a workstation is a key factor to consider. Crucially, it includes a very stable worktop. Indeed, it comprises of perforated top and aluminium profile, and offers flexible clamping and attachments options. Furthermore, details such as its robust foldaway legs and height-adjustable feet ensure the workshop is guaranteed to be level. 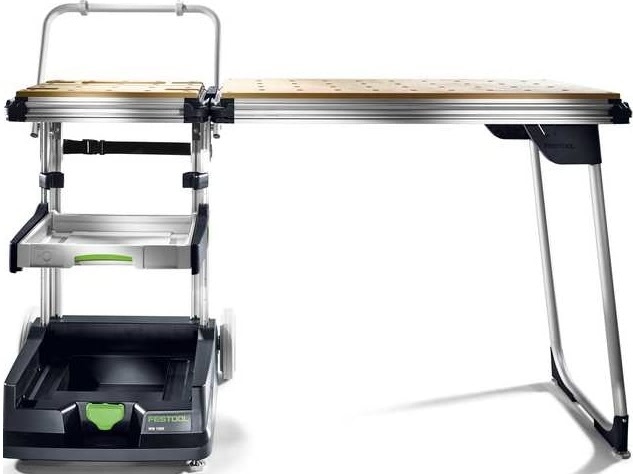 In summary, Festool’s mobile workshop is a brilliant idea that looks to be well executed. It provides convenience and flexibility in abundance. We cannot wait for the workshop to drop. In the meantime, shop our range of Festool power tools ahead of its arrival.